At texaslending.com we are proud of what our customers have to say about us. Thank you for all of the great feedback and Texas Lending Reviews you posted online in 2018! We value the insight to your mortgage experience. The positive Texas Lending reviews help us know what things we are doing right. On the other hand the critiques we receive are always addressed within our team to make improvements to our systems. We earned 445 reviews with 5 stars and 41 reviews with 4 stars. As a small family-owned business, that’s a great accomplishment. My loan process went as smooth and quick as it can be. The 12 day close timeline turned out to be 15 days, but then there were so many hurdles to jump over. I was surprised that my loan went so quick and efficient. The home appraiser set up the appraisal appointment with less than one days notice and the appraisal paperwork was completed the same day. Closing was immediate after all the documents and home appraisal were gathered. I was also surprised that the title company was open on a Saturday, and I closed on that day. I recommend Texas Lending because my loan processor Barry Palmquist is a total, total professional, down to earth guy and thoroughly familiar with the process. There wasn’t a question that Barry couldn’t answer. He’s obviously been there, done that many times before. It doesn’t get any better than this. Texas Lending IS the Gold Standard in my opinion! Others may advertise that they’re the best, but I disagree. “This was our second time working with Texas Lending and I remain convinced that they are the easiest, most professional, and friendliest mortgage company out there. Start to finish our refinance took less than thirty days. No hassle, no complaints!” – Mari N.
“Ken Knight and his team ROCK!!! Scott was a true blessing! These people worked to make a sensitive and emotional experience into a pleasant and enjoyable one. Their knowledge and support in all areas proved to be a great asset in working through the necessary steps to successfully walk through the process with ease. It was a pleasure and a joy to work with this team in financing my new home. Their honesty and guidance helped me to make the best decisions throughout the entire process and I am very grateful. I recommend Texas Lending and this team emphatically for all your home financing needs!” – Russell B. “Joe Milburn and the team at Texas Lending were fantastic! Kevin Miller advertises that Texas Lending has invested heavily to streamline and automate the mortgage process. It’s not just marketing hype. These guys know how to quickly navigate through the complexity of mortgage lending in Texas. They truly are “a different kind of mortgage company”!! !” – David T.
“Great, Great experience with Texas Lending. Gregory West made the process simple and most importantly stress free! Gregory not only assisted me every step of the way but he was very responsive when I would call or send him an email. He went the extra mile to treat me like his number one customer. I am so glad I signed up with Texas Lending and got an opportunity to work with Gregory. I will definitely use them the next time I will be doing any kind of home lending transactions. Thanks Gregory and Texas Lending!! !” Christopher S.
“My experience with Texas Lending and particularly, Tu Nguyen, was first class in every way. I reached out online after seeing a Texas Lending television commercial. I was quickly contacted by Tu, who assessed my mortgage refinance needs and provided a plan which allowed me to meet my short and long term financial goals. Tu was communicative and available via email, text and phone throughout the process. The documentation upload and review process was all done electronically. Tu was able to work to coordinate the refinance process with my busy work schedule. He even made arrangements for the final closing documents to be signed on a Saturday! 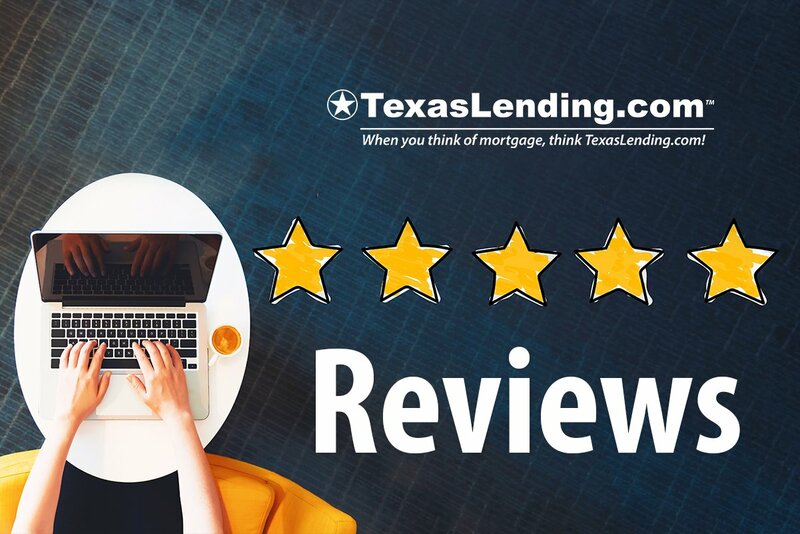 I would recommend Texas Lending without reservation to anyone who is considering a home mortgage!” – Matthew C.
At Texas Lending, reviews are a big deal to us, because we want our customers to have the best experience possible. No two mortgage transactions are alike, but we want your mortgage transaction to be a reason for you and your family to come back to us again and again. Write a Review about your TexasLending.com experience. Reach out to us to get your mortgage application started today.